You’ll get an imagin account without fees. You’ll be able to request a duplicate in the form of a sticker, free of charge. You’ll be able to withdraw cash free from more than 9,400 Caixabank ATM's in Spain. Withdraw money free of charge at 9,400 CaixaBank ATMs across Spain. Discounts on leisure activities and purchases. 1. What are the advantages of the imagin VISA card? You will be able to pay at any shop in the world that accepts VISA (that's almost all shops!). With the Visa imagin you will be able to withdraw money free of charge at the more than 9,400 CaixaBank ATMs in Spain. You will be covered by CaixaProtect®, a service offered by CaixaBank to protect your card operations against fraud, and we will also notify you of all your card movements, to avoid surprises. It is a contactless card. You won't need to put in your PIN for small amounts. 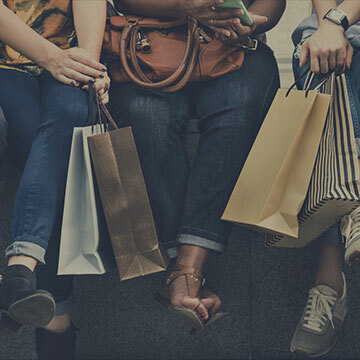 You can request a free duplicate in bracelet or sticker format, so you can shop without having to carry your VISA imagin. 2. How can I activate my imaginBank cards? For security reasons, nobody will be able to use your cards until you activate them. How can I activate them? It's very easy! You already have a card PIN, which you selected during the registration process. Activate your card in the "Cards” section of the app, at any CaixaBank ATM or by making a purchase that requires a PIN. Look for a CaixaBank ATM. Insert your card and choose a PIN. Activate it with a text message that will be sent to your mobile phone. 3. At which ATM's can I withdraw money with my imaginBank debit card? It's so easy: there are over 50,000 ATMs in Spain of the Euro6000, 4B and ServiRed networks where you can withdraw money with your imagin Visa. But, it is only free of charge at CaixaBank ATMs, which also offer a customised menu with the imaginBank operations. That's right, it is possible that banks from which you withdraw money, except Caixabank ATM's, will apply a surcharge for using them, which we will refund. This surcharge fee is applied by the institution that owns the ATM. However, for your peace of mind, banks are required to notify you of this fee on the ATM screen before you are charged, and specify the amount. This way, you can cancel the transaction before it goes through if you wish, because not all ATMs charge this fee and the amount may vary. 4. What do I do if I don't get my imaginBank card? Don't fret, it takes an average of 2-3 weeks to receive the card. If this period has already elapsed from when we told you we had sent it, contact us and we will check. 5. I have forgotten the PIN for my imaginBank card. What can I do? 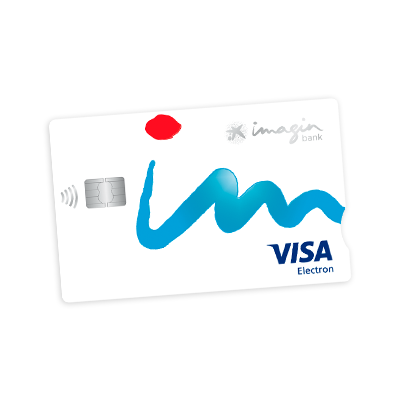 Remember that, if you were already a Caixabank customer, you had already chosen the PIN for your card when you joined imaginBank and, if you were not a Caixabank customer, you gave it at the ATM when you activated your card. Even so, if you do not remember it, you will be able to modify it for bracelets and stickers using the app, in “Cards”, by choosing the corresponding device and in the “Modifcar PIN” option. If the PIN which you cannot remember is the one for you physical imaginBank card, you must go to a Caixabank branvh for them to give you a new PIN.